There is no doubt that YouTube is a very popular video-sharing site all over the world. People from around the world often watch, upload and share various video on YouTube. In this case, more and more people would like to download these great videos and play them on their iPad, iPhone or other portable devices. However, at this time they often get into trouble. At this point, convert YouTube to MP4 is the most popular choice since MP4 is one of the most common video format and it can be supported by mostly all portable devices. For the people who want to play YouTube videos on iMovie, iPad, iPhone or other Apple products, it is highly recommended to convert YouTube to MP4 on Mac. This post will introduce two solutions for you to convert YouTube to MP4 on Mac simply and fast. Speaking of converting YouTube video to MP4, most people might think of to use free online converter since it doesn’t need to download any other third-party programs. And it is usually free to use. Indeed, there are a number of online video converters to choose from, such as onlinevideoconverter.com, converto.io, clipconverter.cc, convert2mp3.net and so on. Here I take convert2mp3.net as an example. As it says on the website, convert2mp3.net allows you to convert and download your favorite videos from YouTube, Dailymotion and Clipfish in a format like MP3, MP4 and more. It’s fast, free and there is no registration needed. You can give it a try by follow the simple steps below. 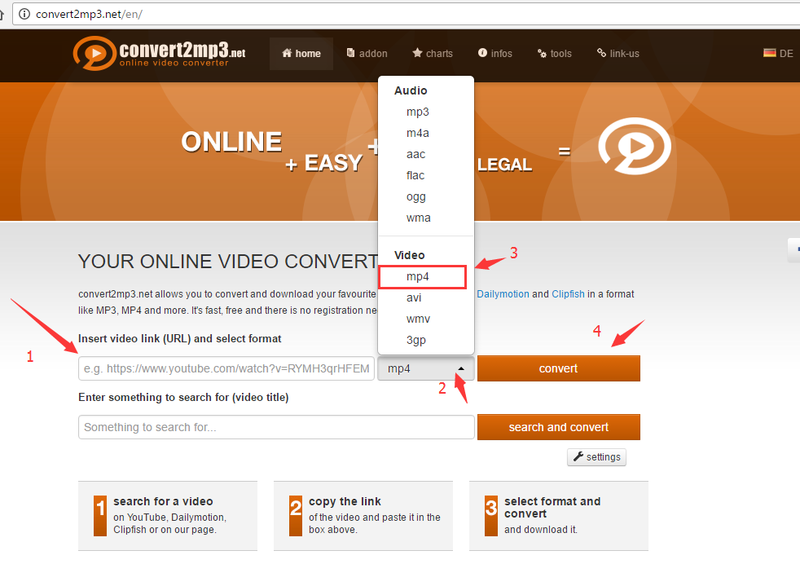 Step 1: Visit and open convert2mp3.net, on the page of it, insert you YouTube video link (URL) and select MP4 as output format. Then click “convert” button. Step 2: After that, you will see the process of conversion. Once conversion done, you need to click “Download” button to download the converted MP4 video for unlimited enjoy. Or you can directly share it with your friends by clicking the “share” button. It is worth to mention that the download process need quite a while. Once all done, you will finish to convert YouTube video to MP4 and get the MP4 video on your computer. It is a convenient way, but it still has non-ignorable disadvantages. For example, you need to take more time to download the converted MP4 video on Mac, and accept a relatively poor quality conversion that takes up a lot of space. Therefore, more and more people would like to use better YouTube to MP4 converter on Mac, so that it is able to convert YouTube to MP4 in batch quickly. 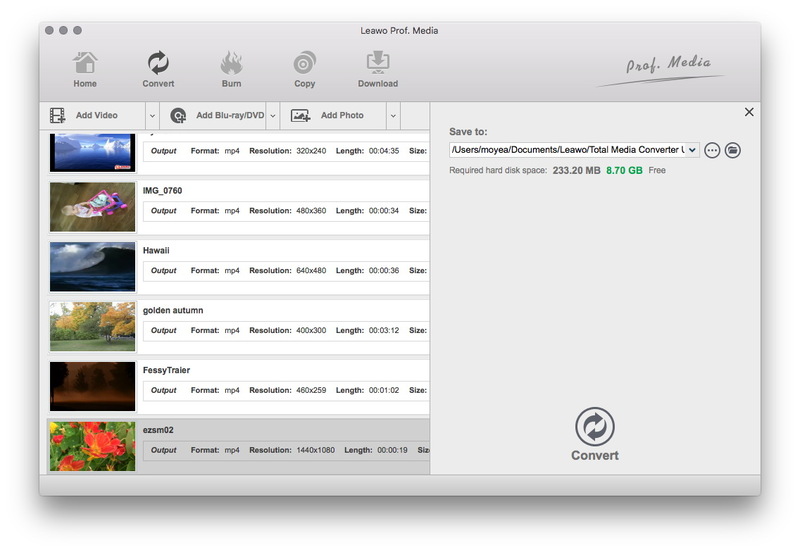 As more and more prefer to use YouTube to MP4 Converter Mac, Here I would like to highly recommend a professional YouTube to MP4 Converter Mac – Leawo Video Converter for Mac. 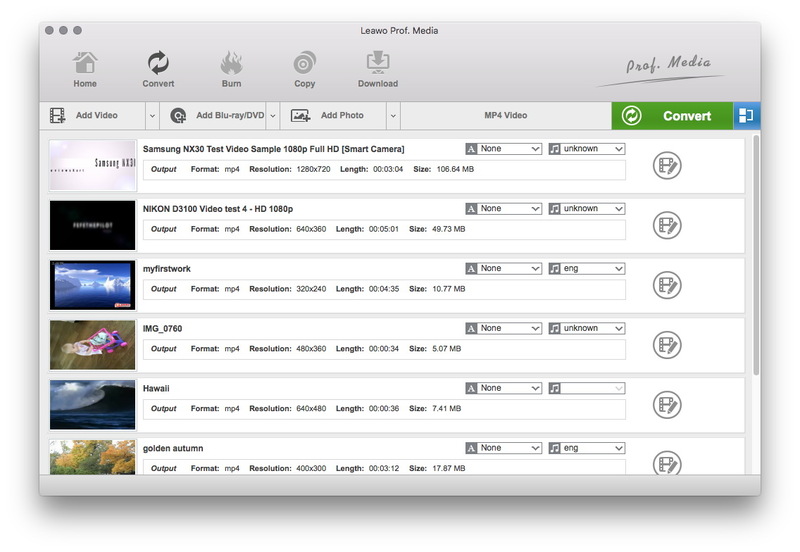 Leawo Video Converter for Mac is designed for Mac OS to convert video on Mac with great quality: AVI to MP4, FLV to MKV, WMV to MOV, MKV to MP4, etc. Conversions between audio formats can also be done. You can get great and fast video and audio conversion on Mac for Apple/Android/BlackBerry/Windows, Mobile/Symbian/Palm users, and more other devices. Besides, it also own rich editing functions. It is far superior to other free video converter online for Mac. By the way, before you start the conversion, you must confirm that you have downloaded your YouTube videos on Your Mac already. If not, you can download YouTube videos with a fast and convenient YouTube Downloader – Leawo Video Downloader for Mac. It is powerful to help you download videos from YouTube fast and safe with best quality. And then let’s download and install Leawo Video Converter on Mac in few seconds and then start to convert your YouTube Videos to MP4 by follow the brief guide below step by step. After the installation completes, please launch it and move to the “Convert” tab. The click “Add Video” button to load source YouTube video files into this program. Or direcctly drag and drop YouTube video files into the program. Turn to drop-down box on the left of green “Convert” button. Click it and select the “Change” button to enter “Profile” panel. Then choose “MP4 Video” under “Format >> Common Video”. Turn to main interface again. Click the green “Convert” button to see the output directory and then set it in the “Save to” box. After all above done, Click the button “convert” at the bottom of the sidebar to start converting YouTube video to MP4 on Mac. Obviously, Leawo Video Converter do a better job than online video converter. Once installed, you can just add one or more YouTube videos and then convert them in just few seconds. Not only its speediness, but you can get the MP4 video without quality loss. You can enjoy them with the same quality on your iPad, iPhone or other portable devices. 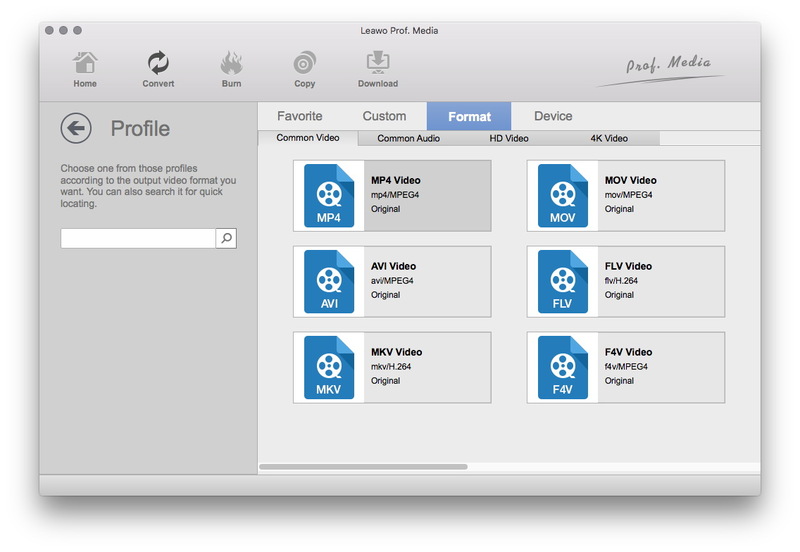 For me, I prefer to use Leawo Video Converter, not just to convert YouTube videos, but other various videos or audios.